Samples arrive at our lab every day. The first thing technicians do with each new sample is scan the barcode on it, because, for privacy reasons, that's the only identifying information the laboratory has. As soon as a sample has been scanned, it undergoes its first test — a visual inspection to make sure it contains fluid up to the "fill line" on the side of the tube. Occasionally a sample will not pass this step, either because it leaked in transit or because the preservative solution wasn't released into the tube when the customer snapped the oblong cap onto the collection funnel. Either way, if a sample tube doesn't contain enough liquid we immediately contact the customer and ship a replacement kit so he or she can spit again. If a sample passes the visual inspection, it is time for DNA extraction. The process our laboratory uses to isolate and purify the DNA in your saliva is simply an automated version of the same one you can do at home. Once the DNA is extracted from the saliva sample, the concentration is measured to make sure there is enough for the actual analysis process on the genotyping chip. The most common cause of low DNA is that the preservative solution is not fully released into the tube. But some people just naturally have low DNA in their saliva. If a customer is sent a replacement kit, and two tries on the new saliva sample still don't yield enough DNA, then unfortunately the customer probably won't be able to use our service and a refund for the kit fee minus shipping and handling is provided. Luckily, this is a very rare occurrence. Samples that yield sufficient quantities of DNA are submitted for genotyping on our custom SNP chip. This process is performed in batches of 96 samples. We monitor the process to make sure it is going as expected. If a particular sample fails to give information for at least 98.5% of the markers we test for, we go back to the saliva sample that was set aside in the extraction step and try again. If a second attempt at genotyping fails, we ship a free replacement kit to the customer so he or she can spit again. 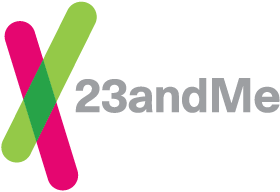 Once a sample has been successfully analyzed, the laboratory sends the resulting data to 23andMe along with the barcode that came with the sample. This allows us to return the information to the proper account and begin interpreting your data.